Jhena admits that she is an avid user of ‘WhatsApp’ when it comes to arranging orders and deliveries of her items. LUBOK ANTU: Online entrepreneurship is not impossible even in a small town like Lubok Antu – as long as there is Internet access. Jusita at her stall near the Lubok Antu Chinese Temple. 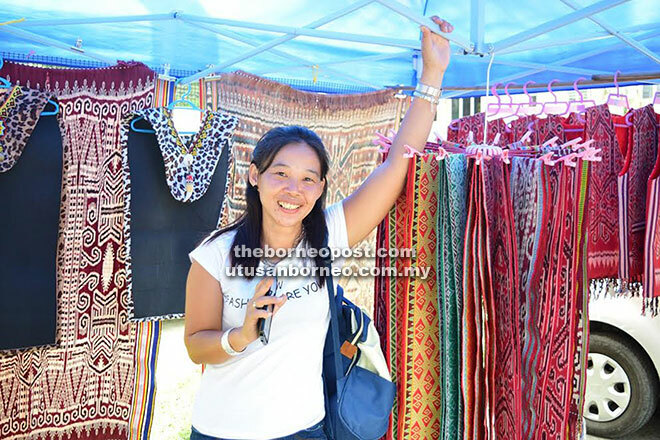 For local entrepreneur Jusita Tius, her physical stall selling Iban traditional clothing including accessories can be found under the blue canopy next to the Lubok Antu Chinese Temple, but her digital store is available and accessible worldwide. “Although the phone connectivity along the way to Lubok Antu is poor, the Internet coverage here is quite fast. 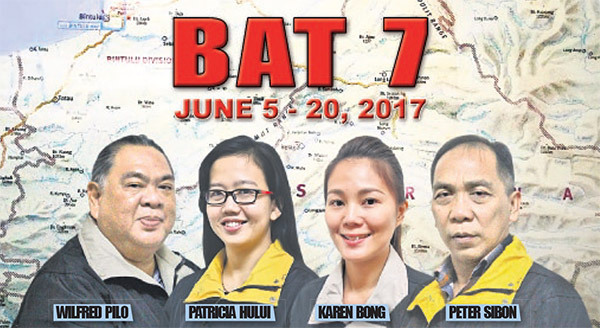 “With Internet and the Post Office, I can easily operate my business from here,” she told BAT 7 yesterday. The Facebook page for her online business has more than 7,000 likes, with great reviews received for her customer service. She also utilises the online platform by posting photos and videos that promote her items. Jusita buys her supplies of traditional clothing and accessories from the longhouses around Lubok Antu. Jusita says the Facebook page for her online business has more than 7,000 likes. 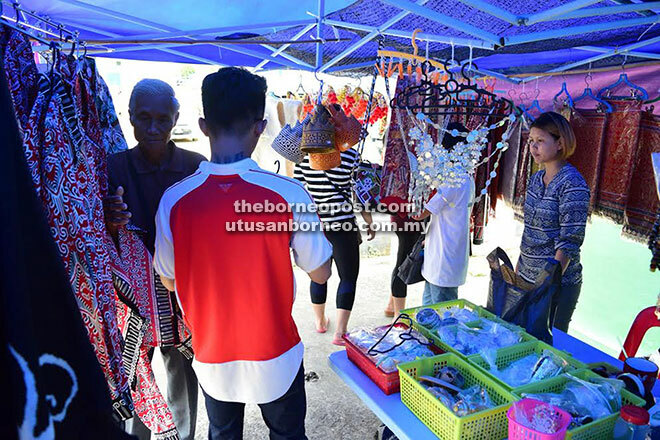 Additionally, she also commissions tailors to sew men’s shirts and women’s dresses including skirts using fabrics that have patterns inspired by Iban traditional motifs. She started her business about five years ago, without any financial grant, when she was just 23. Jusita said being an entrepreneur at her hometown allowed her to enjoy more financial freedom. 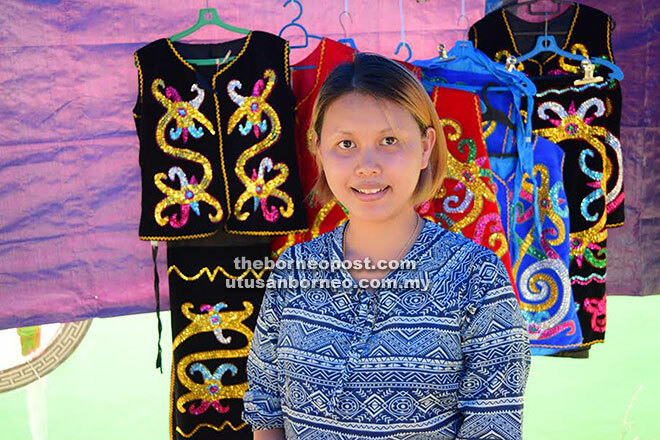 According to her, other local youths can usually be found working at the nearby dam and resorts. 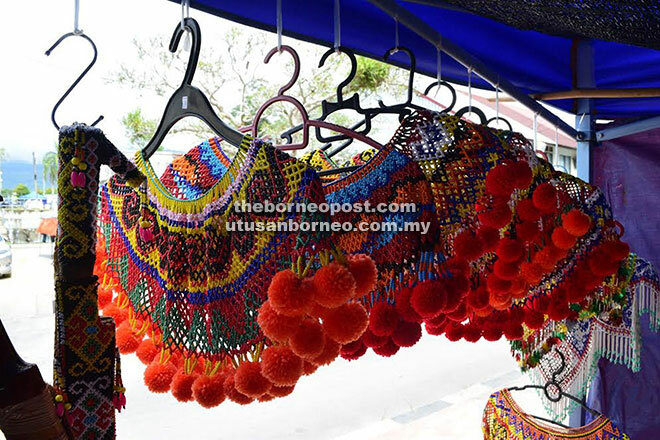 Jusita orders her supplies of Iban clothing and accessories, like these beaded collar-shoulder garment called ‘marik empang’, from the longhouses nearby. On the other hand, another local entrepreneur who wished to be identified only as Jhena did not share Jusita’s confidence in online business. “To sell something online, you need to build the trust between both parties – the sellers and the buyers. “That is something I’m not willing to venture into yet,” the 35-year-old said. Nonetheless, Jhena is an avid user of the instant messaging application ‘WhatsApp’. “My friends from outside Lubok Antu would send me messages should they need me to deliver to them any supply of clothing and accessories from the traders in Indonesia,” she said, pointing out that this is among the advantages of living in Lubok Antu, which shares the border with Badau in West Kalimantan, Indonesia.